I recently read some biographies of XIX century American magnates both to get a better feel for the period and to hopefully learn something useful. There was a small problem though. Their lives were so parallel on some areas that I began confusing parts of them around. So, to sort things out I made an outline by year and here it is for anyone to use. Some events might be off by a year. 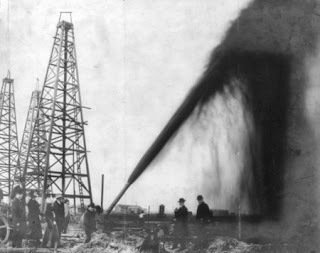 Sources are Andrew Carnegie by Nasaw, Titan by Chernow, The Great Pierpont Morgan by Lewis Allen, The First Tycoon by Stiles, Dark Genius of Wall Street by Renehan and Mellon by Cannadine. The two books that I enjoyed best were Nasaw's and Cannadine's in that order. The Goldberg Variations, 1955 recording. Of course one must start with the Goldberg, not only because it was the 'first' chronologically, but because it sets the tone for the rest of his recordings. If you have never heard this version before, you are in for a good surprise. The Art of Fugue. Gould on the organ! On the non-Bach front I find the Gibbons album almost a must, while the Hindemith unsortable. There is also an album with Gould's own compositions, that includes So you want to write a fugue? that for me is mostly a curiosity. There is also a well-regarded Haydn Sonatas album that I've not listened. 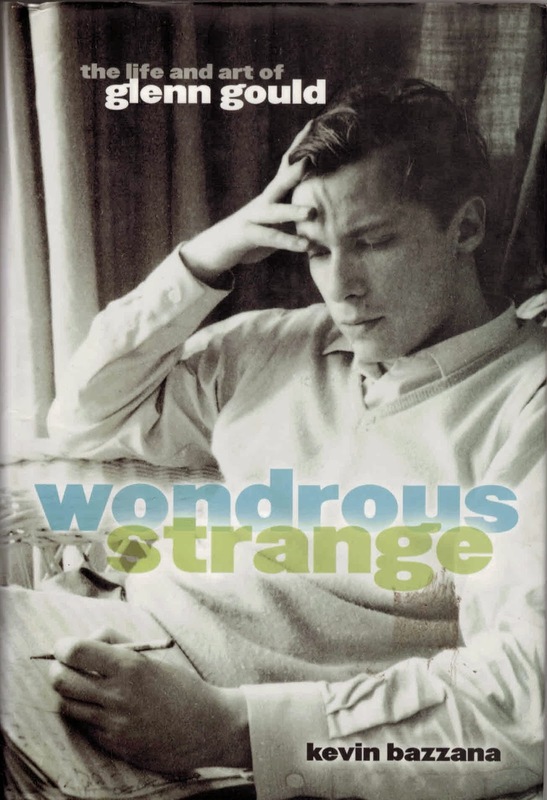 Now that I'm on a roll, I want to also a full-hearted shout-out to Bazzana's biography of Gould Wondrous Strange. It is among the top three of the most enjoyable biographies that I've read. Frequently 'couldn't put it down' is an exaggeration. This time it isn't. There was once a longtailed rooster. He was the most beautiful bird in the area and was much cared for and admired. So much so that even since he was a chick, it was decided that he would compete in the neighboring big town beyond the hills. The longtailed rooster grew proud and certain that he would win when the time came. Standing on its high perch, he once saw a sorry creature arrive into town. It was a hermit. What would he want here? He was bent and his clothes were all tattered, if clothes could be called to the rags hanging on him. He was also silent not opening his mouth to say anything. As the longtailed rooster peered him the townsfolk began curiously to gather round the man. It was the eve of the competition and the next day in the longtailed rooster expected to be taken beyond the hills. I wanted a book about Zen. If you look around, there are very many. Problem is that most of the books one finds are about learning and doing Zen. There are primers, manuals, story collections with fables such as The Hermit and the Long Tailed Rooster (never heard about that one? I just made up the title). Though valuable, I didn't want any of these; I didn't want to practice, become a monk or become enlightened or at least not at this point. What I wanted was a book that looked at Zen from the outside. What I wanted was more of 'this is', rather than a 'how to'; a window into the practice if you will. I was about to settle with a documentary or video from YouTube when unexpectedly I found just the book I wanted in my dad's very own library. 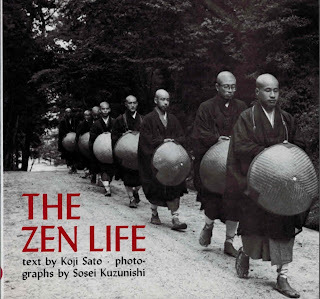 The Zen Life is a small book written in English by native authors. It is divided into two parts. The first one consists of 101 black-and-white photographs taken at Empuku-ji monastery that illustrate the ordinary activities of a Zen monk coupled with very brief explanations. The second part looks at the former and gives a more extended commentary. The photographs are top notch and capture the essential elements clearly. One can tell that these were taken by a pro. It doesn't take much to flip through the hundred and, guess what, this is a good thing. Looking at the pictures can serve as a quick relaxation treatment. The explanation section covers a great deal of ground. It centers mainly round the monks' daily practices, from zazen to eating and sleeping, but it also addresses zen monasticism in the context of society at large. This part is written by a psychologist and the rational or philosophy of each facet is briefly treated upon. Some calendar events are also explored. If you are in the position of wanting to know, but do not want to practice, this is a good book that can satisfy your interest. In closing, a nice project to consider is to contrast what happens here in The Zen Life with the experience of the Carthusians in the documentary film Into Great Silence (recommended! ).